It is our goal to make sure that customers are always completely satisfied with our work. In fact, we are so confident in our work that many of our landscaping services come with a three-year craftsmanship warranty. 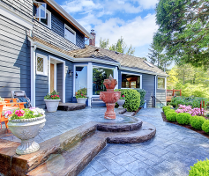 It isn't E & F Hardscaping and Landscaping Inc. without efficient, flawless hardscaping work. pavers are at the heart of our hardscaping passion, but there are several other builds that we can take on. Request an estimate on any upcoming landscaping or hardscaping projects, by contacting us in Drexel Hill, Pennsylvania. Hours of Operation: Monday–Friday 9:00 a.m.–5:00 p.m. | Saturday 9:00 a.m.–1:00 p.m.
Based in Drexel Hill, Pennsylvania, E & F Hardscaping and Landscaping Inc. is home to some of the most honest landscaping contractors in the region. For more than 20 years, our courteous crew has provided contract work and lawn maintenance to the community. You can always expect estimates to be free of charge, and work will never be subcontracted to some other business. 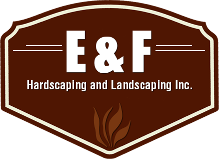 E & F Hardscaping and Landscaping Inc.